I believe that the state of your house says alot about you. 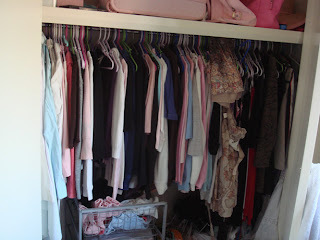 Prior to me moving out of my parents home in 2008, I was a neat freak. Everything had it's place and I just loved having a tidy room. However, since moving into a place of my own, I've let things slide a little and now I just feel so messy! I think it's got something to do with the antidepressants I'm taking (for postnatal depression), which apparently cures OCD. 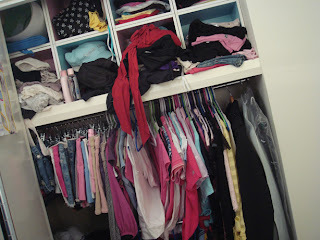 Maybe I had obsessive compulsive disorder and that was why I was so tidy? Hmm! 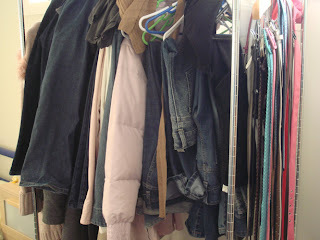 Here are some pics of the state of my wardrobe. It's not too bad, but I wish I could organize it better and keep it tidy! If and when I get the chance to clean it up, I'll post the new pics too. 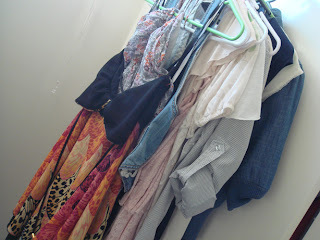 I don't think your closet is bad at all. But maybe you did have OCD. Wow! It's not too too bad, but I can see how it would be kinda daunting to clean it up. Best way is to just turn on some peppy music and start! Once you get going you won't notice how long it takes.